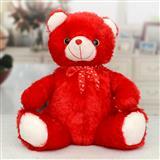 Amaze your darling living in all cities in India with this teddy soft toy on valentine’s day as Gifts across India from GiftsAcrossIndia.com. 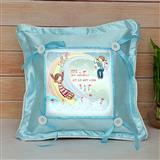 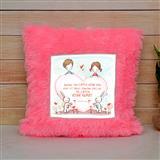 This teddy is sitting on a heart shape structure which is placed on a heart shape cushion. 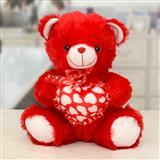 All is red in colour and just for you written on it and the teddy bear is light pink in colour.